Ludum Dare 33 entry: rate at Ludum Dare site! 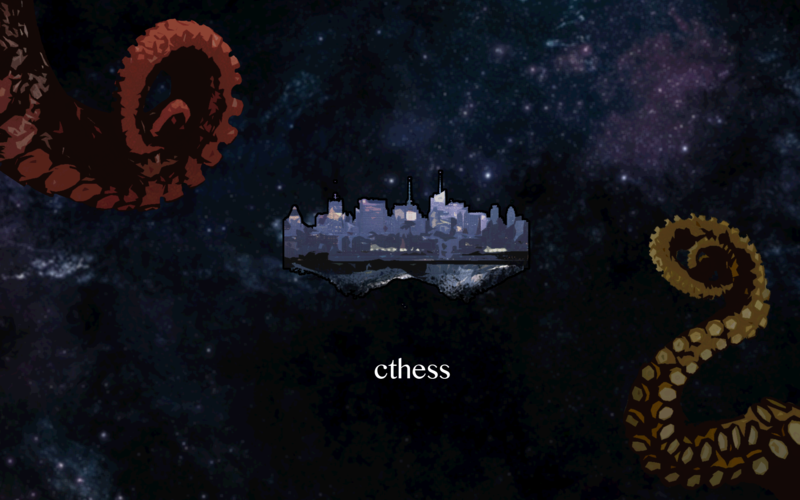 Become one of two spacefaring eldritch horrors wresting for control of this fragment of a shattered Earth. TO PLAY: Just click and drag from either side of the board to deploy a tentacle. GAMEPLAY NOTE: This version of Cthess is incomplete -- it was conceived as an online head-to-head game, but unfortunately online networking was one of the features not finalized before the Jam deadline. However! A future version WILL include online play, tentacle interaction, health and tentacle meters, friendly cultist spires, and fulfillment of the game's horrible destiny! In the meantime, you can send out tentacles and smash a few buildings. WEB VERSION? The web version had some compile errors and will be uploaded later Monday or Tuesday. Thanks for your patience!